The PKI 7100 is a portable fully digital X-ray- system consisting of an exceptionally constant potential X-ray source and Hi- Tech image capture unit for examination of suspect packages or other inaccessible areas where bombs, listening devices or contrabands may be hidden. The system especially is designed for EOD technicians, customs, police and army. 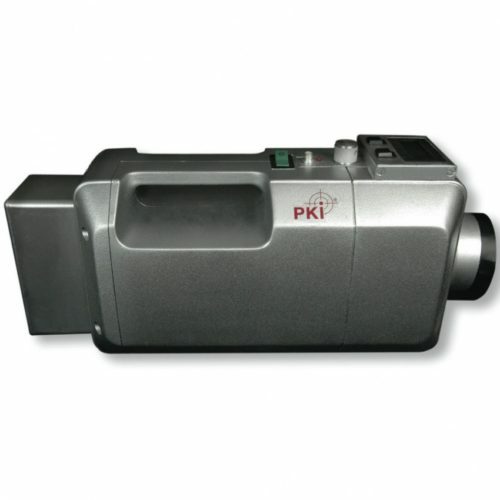 PKI 7100 sets a new standard for image quality, as well as for quick and safe inspection. It offers the possibility to take four images at different energy levels in 12 seconds for progressive penetration depth studies. All images are transferred to a notebook at very fast rate. X-Ray dose: 1 ft 1000 μSv/sec.